The members of the Advisory Board meet twice a year, once for the Annual General Meeting, in late June, and once at the end of the year. The members of the Bureau gather to prepare the Advisory Board meetings and deal with the everyday affairs of the Association one to two months before each Advisory Board meeting. The Annual General Meeting takes place once a year in late June, and all members who have paid their dues are invited. 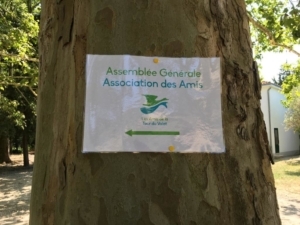 At least two weeks before the date of the meeting, the members of the Association are sent a written invitation and the agenda of the meeting. After deliberations, those present at the Annual General Meeting vote for or against the reports given and the accounts submitted for the fiscal year. They deliberate on the future orientations of the Association, appoint or renew the members of the Advisory Board, and set the dues for active members and the minimum contribution to be considered a benefactor member. Decisions are made at the Annual General Meeting on the basis of a vote supported by the majority of the members present, except for the election of the members of the Advisory Board for which a secret ballot is required. Any other decision can be made by secret ballot, if at least two thirds of the members so request. The reports of our past Annual General Meetings can be found in our official documents.